Did you know KFC and breast cancer once teamed up? Are you more likely to buy coffee that you know is ethically sourced and donates part of proceeds to support farmers in Latin America? The answer is probably yes. Corporations know this too. That’s part of the reason why corporations and nonprofits partner up all the time. It’s a lot more common than you think. It’s called “cause marketing”. Both non-profits, NGOs, charities and big and smaller corporations can mutually benefit from teaming up with one another. Like any relationship, sometimes these partnerships are a perfect match and other times (KFC and breast cancer awareness) it just wasn’t meant to be. Here are seven examples of partnerships between nonprofits and corporations that even Match.com might have missed. 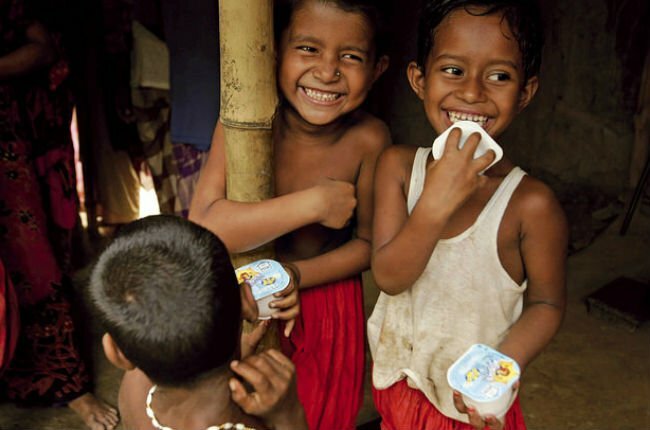 Children in Bangladesh eating yogurt from Grameen Danone. I mentioned this before briefly and I want to bring it up again because I think this is a great example of a partnership that not only worked well for both parties involved, but also had a huge impact on decreasing aspects of poverty in Bangladesh like hunger, empowerment for women and overall economic prosperity. This partnership built a yogurt factory in Bogra that created jobs and boosted employment. The yogurt has key nutrients that fight diseases caused by malnutrition like blindness from Vitamin A deficiency along with others. Groupe Danone and Grameen worked together to study what nutrients people in Bangladesh were specifically lacking, and created a yogurt with those added nutrients. Anyone can sell the yogurt through Grameen’s microfinance program. However, mostly women sell the yogurt because it is an accessible way for them to access credit and participate in a stable business program that is not otherwise provided. This one was a flop. “Think before you pink” should have been think before you market fried chicken and breast cancer together. 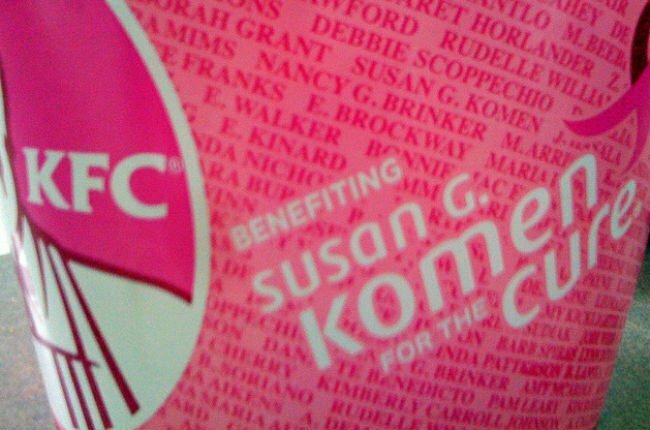 The partnership between KFC and Komen for the Cure (a breast cancer foundation) received a lot of criticism and did not last long after launching in 2010. The campaign’s mission was to reach women in the US in areas that were likely not to have had access to quality information about breast cancer. While the heart of the mission might have been in the right place, combining unhealthy fast food that can cause heart disease with cancer awareness was not a good call. Check out this video of Stephen Colbert's take on this partnership. 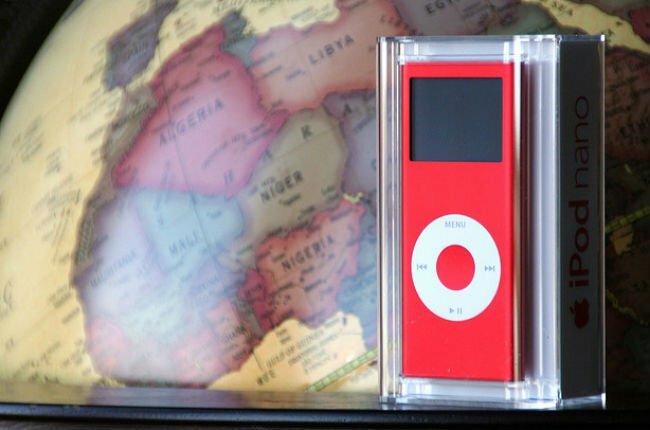 Do you remember seeing red Ipods, Inspi(RED) t-shirts sold in stores ranging from Gap to Armani? And how part of the proceeds went to fight AIDS, Tuberculosis and Malaria in Africa? This was all formed from a partnership between the Global Fund and a private company called Product Red that connected hundreds of other companies to sell “red products” and donate part of the money to the Global Fund. It was a little controversial because of transparency on how much of the proceeds from products went to charities, but this campaign was huge. The partnership raised over $150 million (USD) that was directly given to HIV/AIDS programs in Africa. Clean new socks are the highest priority for clothing donations. Personally, I think this partnership makes a lot more sense than KFC and breast cancer awareness. Hanes is already in retail and the Salvation Army donates clothing to people who cannot afford to purchase new clothes. 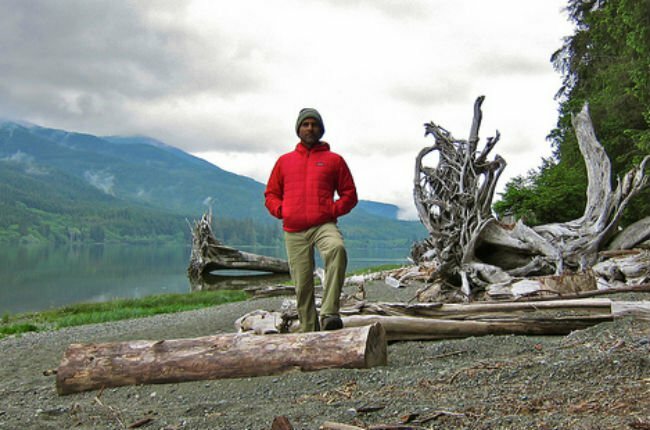 Technically Hanes is matching purchases with donations, allowing customers to get involved. Socks are the number one requested clothing item in homeless shelters in the US. Since not every Patagonia consumer spends all her or his time rock-climbing, paddling class IV rapids, and scaling Mt. Everest as their ads would suggest, this is also a way to broaden its customer base. 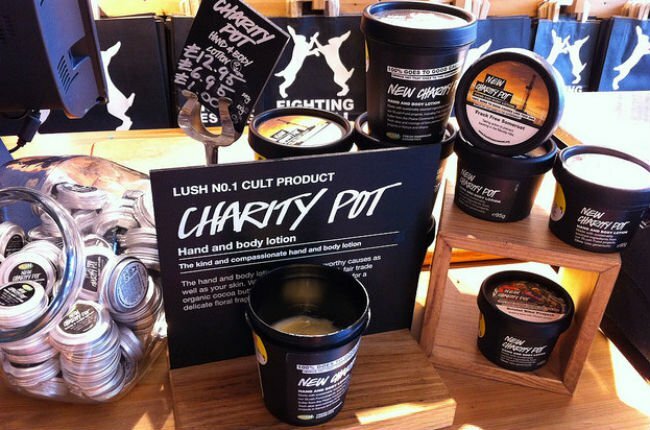 LUSH (a beauty product company) started a campaign selling a product they called Charity Pot: little containers of lotion have a picture of a charity on the top and all profits go to that charity. The company has raised over $10 million (USD) donated to over 800 grassroots nonprofits. 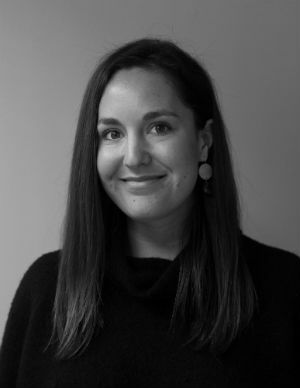 Charity Pot is another innovative way for consumers to connect with a variety of nonprofits that they may have not heard of otherwise. It’s different from larger campaigns that fight one big issue to end poverty. I think having a diverse range of partnerships both large and small is a good way to boost public awareness. 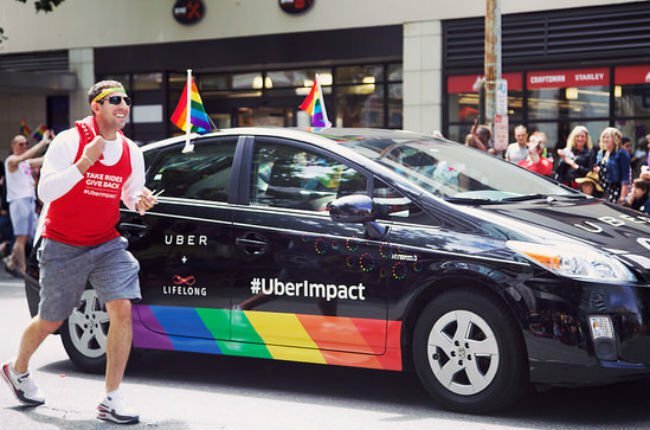 In this photot, Uber supported the Pride parade celebrating gay rights in San Francisco. But Uber also teamed up a nonprofit charity to end hunger for children in the US. It’s hard to decide if you should “Uber it” or not as my colleague Nicki points out in her article. There’s a lot to consider. And Uber’s partnership with No Kid Hungry adds another aspect to ponder...should you take a cab and support taxi drivers or choose Uber and donate to hungry children in the US while you try to get from the West Village to Soho? Last year during the holiday season, Uber partnered with No Kid Hungry to “drive out hunger.” Uber users had the option to donate $5 (USD) to the nonprofit after their ride. The partnership raised $5 million (USD) for No Kid Hungry by providing an easy way for users to donate. Partnerships between corporations and nonprofits are extremely important and have the potential to change the world for the better. It’s a two way street. Nonprofits can give corporations good image and boost sales. Corporations can provide access to people, funds and provide marketing data and research that nonprofits would not have the means to access otherwise. When it works, these partnerships can bring people together to solve global issues and end poverty. Innovation and partnerships of all kinds can have a big impact on ending poverty. You, too, can be a part of ending poverty. TAKE ACTION NOW and call a member of Congress and urge them to sign the Electrify Africa Act H.R 2847 to help bring electricity to millions in sub-Saharan Africa.